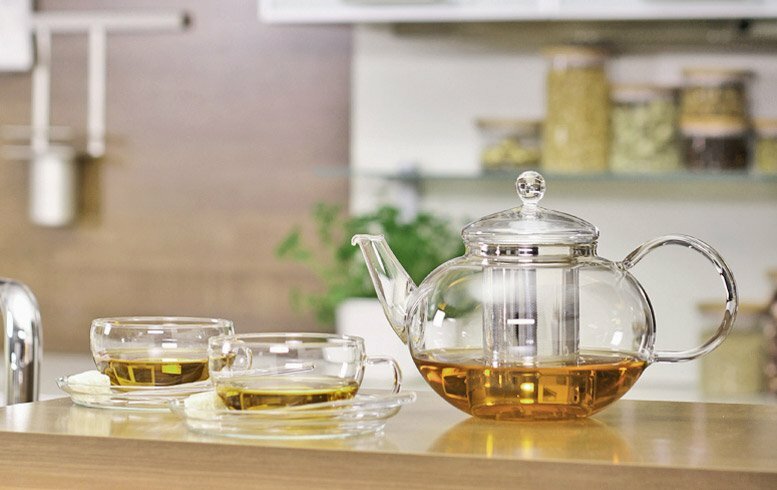 ... the wooden parts of our tea assortment are made manually of high quality German beech. The food safe protection caps and the extremely hard, environmentally compatible water-based protective paint - both made in Germany - warrant safety and high functionality. ... you can use our products made of heat-resistant glass directly on the cooker or above gas flame if they contain only aqueous liquids. ... the production of our articles is certified by INTERCERT according ISO 9001:2008. ... all our heat-resistant products are heated before packing to approx. 600 ºC and then slowly cooled. 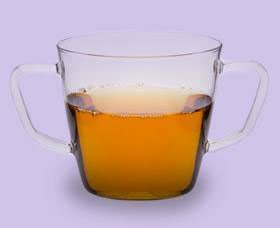 This eliminates tensions inside the glass. ... our heat resistant glass is a neutral glass and classified as glass type 1 in accordance with the German Pharmacopeia , the European Pharmacopeia and the United States Pharmacopeia. ... our borosilicate glass with a density of 2.23 g/cm³ is approx. 17% lighter than aluminium. ... each stripe of our satined articles is applied by hand individually before sandblasting. This makes each product unique. The final treatment with acid ensures a closed surface and a high degree of user friendliness. ... our glass contains no heavy metals or other toxic materials and thanks to its smooth, nonporous surface, it is particularly suitable for people suffering from allergy. ... our borosilicate glass melts at a temperature of above 1600 ºC. ... our glass bodies are blown by machine. Unlike mouth-blown products, we can thereby reach a steady wall thickness and guarantee a thermal shock resistance of at least 150 ºC. 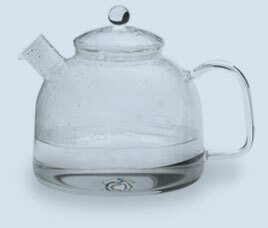 ... the spouts of our teapots are mouth-blown or, just like all glass handles, attached by hand. ... the maximum permissible service temperature of our heat resistant products is 500 ºC and they have a guaranteed thermal shock resistance of 150 ºC. ... our glass is produced according to the strictest European norms. We do not use glass from the Far East. ... our heat-resistant glass is also used as laboratory glass and in the chemical plant engineering and construction for working with acids and bases. An outstanding glass base „Made in Germany“, certified quality, continued advancement of the technical and technological possibilities, as well as long-standing experience with heat resistant glass, guarantee high-quality finished products. We work exclusively with raw materials of the highest quality and only the most reliable partners. Borosilicate glass 3.3., exclusively made in Germany and the EU, is guaranteed to be in accordance with EU norms and regulations. Our glass is free from heavy metals and other toxic components and is therefore ideally suited for people with allergies due to its smooth and nonporous surface. Our articles are produced from machine-made base forms, ensuring ideal aesthetic and chemical-physical properties. 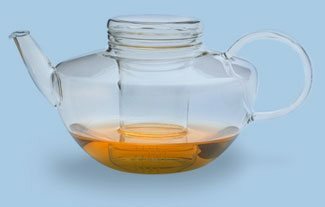 The notably uniform wall thickness guarantees excellent thermodynamic properties, making it possible for the majority of our glass containers to come in direct contact with a heat source. The spouts and handles are manually attached by experienced glass blowers with great mechanical skill, providing all finished products with a high level of uniqueness. Production is ISO 9001 certified.